For great clothing deals and bargain sandals, Old Navy is the place to be. This is doubly true in Summer. There are sales, sales, and what do you know, more sales! If you set foot into an Old Navy store, you’ll soon notice a new category for men: grooming products. Which is just an abbreviation for Old Navy. They will include at least a body spray and a cologne to start with. The body spray costs just $10, which is right in line with Old Navy’s relatively cheap prices. You can choose from three sprays to fit your mood. If you’re looking to smell better at the gym or on the basketball court, choose the Active body spray. This includes dark amber, juniper berry, and sage as the prime ingredients. With deep sea accord, driftwood, and bergamot, the Classic body spray can take you from the office to date night effortlessly. Lastly, on those nights when you’re going to paint the town, try the Tonic body spray. This boasts sandalwood, coriander, and grapefruit, so it smells exotic without being too tropical. ON brand cologne is just $16 for 1.7 ounces. The bottles are glass, so you’ll feel like you spent way more money than you did. The smells are incredible as well and rival more expensive products. There’s Ember for the days you’re feeling fiery. This combines cedar wood, saffron, and bergamot. Take your senses for a trip when you spray on the Indigo cologne. It’s rife with scents of driftwood, mahogany, and mandarin. If you want a captivating yet authoritative smell, you’ll enjoy the Grove cologne. It has sandalwood, sage, and fruity citrus. More Grooming Products to Come! Hopefully, in the near future, there will be other fun grooming products to choose from. For now, this is a stellar start for the dudes. Old Navy originally got into the grooming and beauty game back in 2016. Their women’s beauty section is filled with products from Kindred Goods, including lots of skincare. You can also find hand creams and bath fizzers from the brand. You can currently only shop for ON brand products at participating Old Navy stores. They’re not available for purchase online yet. 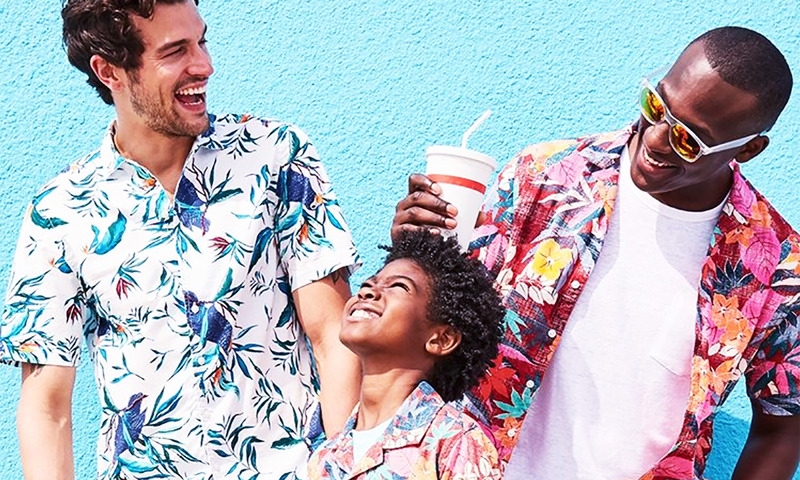 Header Photo by @oldnavy on Instagram.